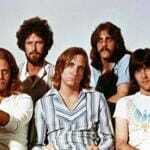 Learn how to play The Eagles – Lyin’ Eyes note-for-note on guitar. Difficulty Level: Easy (acoustic part). Intermediate (electric part). This preview video contains the first section taken from the complete lessons for the song Lyin’ Eyes. The full lesson covers the acoustic guitar part and the lead guitar part from the intro that reappears after each chorus. The complete file contains 2 lesson videos, 2 performance play thru videos, full tabs, chords and lyrics. You’ll receive a link to download the lesson which will download as a zip file of 221 Mb containing all the lesson content. What guitar pick are you using on this video? Hi Elizabeth. It’s a Jim Dunlop .60mm. There is an ending guitar solo piece that is missing from the package I received (something similar to the intro guitar piece). Is this missing piece intentionally left out or is it indeed missing from the package I received. I didn’t cover that in the original lesson. I’ll see if I can put out a short video to add to the package.